Dental patients repeatedly say: “I trust my dentist.” They say this because most dental patients aren’t professionals and they cannot truly assess your work. They must trust their feelings. Patient feelings are particularly important when they consult you for the first time. Potential patients may initially rely on recommendations from friends and family, but it is the impression you make that earns their trust. 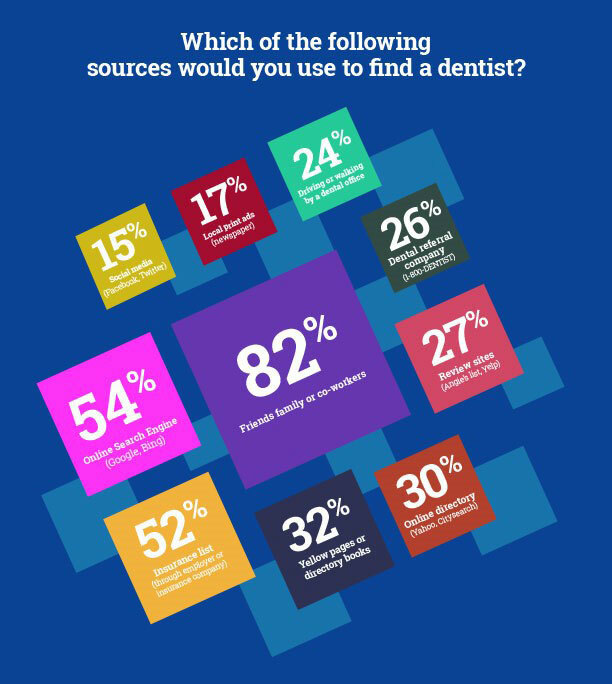 So, how do you make dental patient trust your practice? Your page about the team and your medical practice is the information that visitors to your website are most interested in. Dental patients want to see who they will be dealing with. Therefore, invest a lot of energy into presenting yourself, your team and your medical practice in a very personal way. Have you ever considered sharing information on your hobbies or interests? This information helps patients relate to you. Of course, you must feel at ease disclosing such information. Do not present anything online you do not feel comfortable sharing. If dental patients discover you misrepresented yourself on your website or in your information flyer, you are unlikely to earn their trust and new business. People want and value authenticity. So, represent yourself as you are. Showcase your personal character. Your patients will recognize this honesty and you will be rewarded with their trust. Ultimately, your patients come to you to receive good dental treatment. However, the impression they receive when they enter your practice also plays an important role. This is especially true when they recount their experience in own head as well as to others. So, do not underestimate the importance of this experience, online and in real life. Most dental patients are impressed by modern furnishings and technical equipment in a practice. It makes them feel they are receiving state-of-the-art care. Pictures of a modern practice also make a good impression on your website. Today, many dental patients search for dentists online. Therefore, you should ensure you are present online where they are. It is not enough that your picture and your offer can be found on your website. Our tip: plan your social media postings and offer your followers a good mixture of inside-the-practice information—e.g., summer parties, new staff, birthdays, interesting situations from everyday practice life— as well as medical results, information on treatment methods and offers, and appealing things you found elsewhere (ideally relating to dentistry). It is important to choose someone from your practice to be responsible for these social media postings. And do not forget to fill portals, search engines and other lists relating to dentistry with your offer and, preferably, with pictures of yourself, your team, and your practice. Most dental patients rely on recommendations from family and friends when it comes to choosing a doctor, but they also trust a good recommendation. 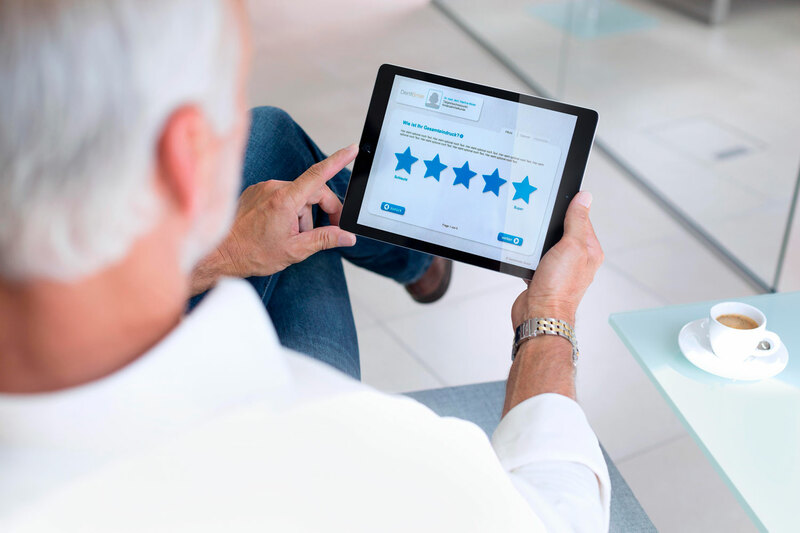 Satisfied patient referrals represent the biggest potential for building your practice. Talk to your patients and encourage them to recommend your practice actively. Consider a “bring-a-friend” promotion, which provides additional motivation. But please check if such incentives are legally acceptable in your country first. Whether we like it or not, online reviews are steadily becoming more important. In nearly every country, there are medical professional review sites. It is in your best interest that you keep track of your reviews on these pages. Likewise, actively promote your position with your patients. Talk to your satisfied customers and ask them to leave a positive review of your services on Google and other services. Our best advice: when representing yourself, always be yourself. No one does it better than you. Moreover, don’t leave your external presentation to chance. Patients want to build a relationship and get an idea of who you are. It is your task to actively steer their perception and positively influence it. You should seize this opportunity. Find out more about this topic in the study of our colleagues at Futuredontics.